Founded in 2011, Jewinkle is an open marketplace, bringing a new perspective in supporting individual sellers and small businesses in today enterprising as e-commerce arise, with a whole new innovative function. 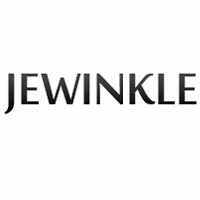 Unlike all other marketplaces, Jewinkle focuses mainly in the field of jewelry buy and sell in the global market. May it be handmade fashion accessories, fine jewelries or jewels of any kind. Introducing your crafts into consumers worldwide, where both the merchant and the buyer can benefit.